As a new writer, especially one whose study of the craft was limited to one creative writing class in college, I have wondered how much I need to write to have a meaningful output. How many words go into all of those big, glossy RPG books? How about the digest sized indy ones on the shelf above them? If I don’t right 1000, or 5000 words a day will it take me until I die to write one of those? So, this is nice to see. I have figured out that the 5600 words I wrote for a one hour class lecture I was to give is way too many. Those are great questions! I could do a whole blog post on that 🙂 But I believe that every bit is meaningful output. A medium-sized RPG book is about 80,000 words (very roughly). 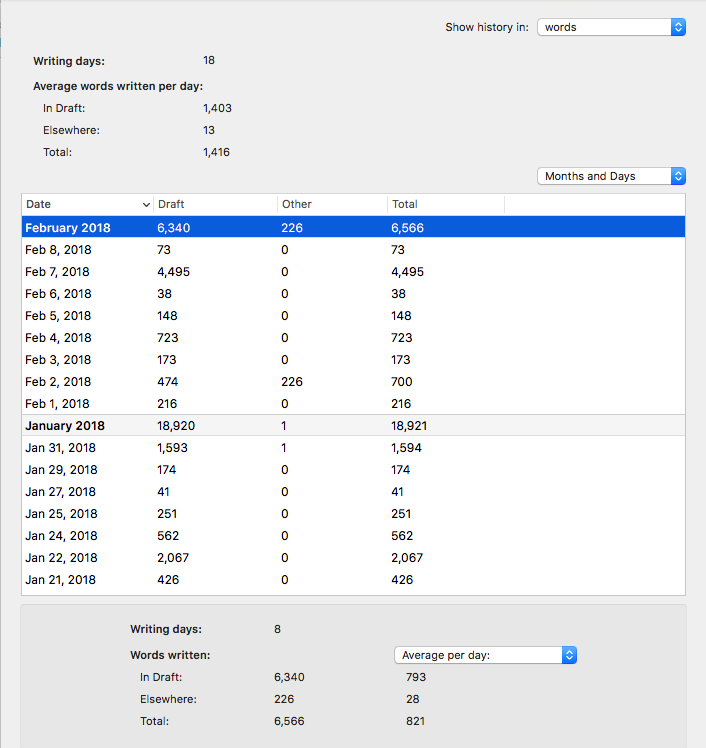 At only 500 words, five days a week, you could still write 2 a year! 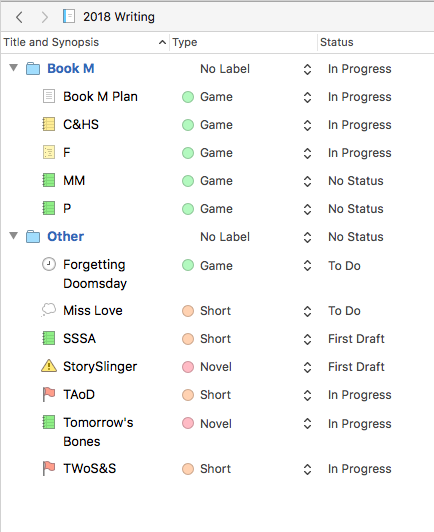 I only keep track of words when I’m actively drafting something. Otherwise, as you say, it’s disappointing when I have months of revisions (which are no words) or game words (which are slower words because I’m usually designing at the same time). Mostly I just track how much I get written per day so I can keep putting one food in front of the other.